Back in March 2015, Zayn Malik decided to leave One Direction. While it was heartbreaking for fans, luckily this didn't signify the end of the boy band. Instead, the other four guys — Harry Styles, Niall Horan, Liam Payne, and Louis Tomlinson — soldiered on. They continued recording songs, making videos, and even winning awards. Then when 1D announced they were going on a hiatus in March 2016, fans got worried that it may be the end. Still, since the phrase "hiatus" implied it was a temporary break, hope hadn't run out. Unfortunately, recent clues make it seem that One Direction isn't getting back together after all. Or at least not for a very long time. While I hate to think the worst, each of the guys seems to be heading in his own direction. And if you take a look at their individual projects — record deals, solo songs, interviews, etc. — it appears that getting back together is not a top priority. Will they be like *NSYNC, who occasionally (aka very rarely) gets together to appease fans' nostalgia? Or will they be the next Backstreet Boys and continue touring for years to come? Only time will tell. 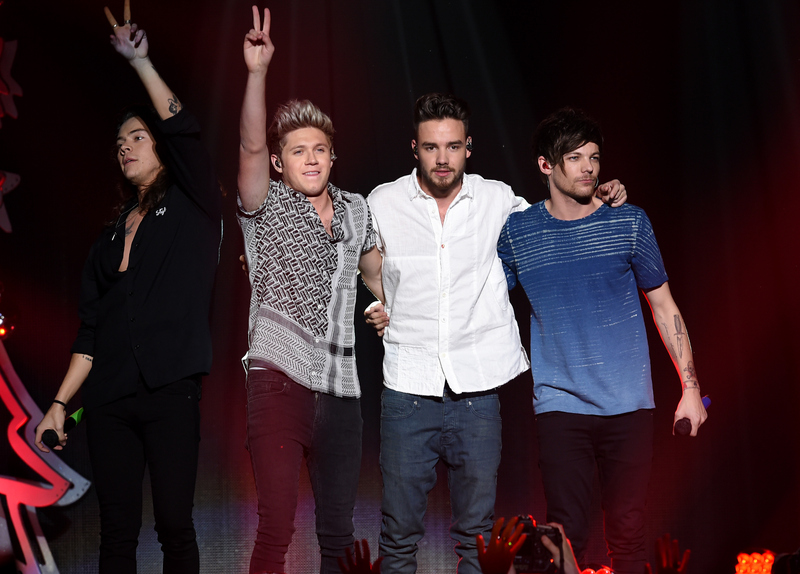 In the meantime, here's a round-up of reasons 1D's hiatus may be more than just a break. On Sept. 29, Horan released his new single called "This Town." He's the first of the four remaining 1D members to release a solo song. While he deserves a round of applause, it's also bittersweet. It means he's really breaking free from the band. As Bustle's Michelle Lulic pointed out, the lyrics can double as a goodbye to One Direction. On first listen, it sounds like a typical love song. But the chorus ("And I remember everything / From when we were the children playing in this fairground / Wish I was there with you now") and other lyrics could be him actually saying goodbye to his bandmates. You never know. "Maybe at some point everyone will want to do something again but it’ll be better if it happens naturally like, ‘Hey, we all really want to do this again.’ If that were to happen it would be amazing. I would never rule that out. It’s the most important, greatest thing that ever happened to me, being in that band. It completely changed my life." Still, I'm not too sure that means a reunion is on the immediate horizon. "Maybe at some point" sounds like the vaguest response ever. Adding context to his comments above, Styles scored his own record deal. He signed to Columbia Records in June. On top of that, he's pursuing an acting career. Styles is in Christopher Nolan's Dunkirk , scheduled for a 2017 release. He even cut off his hair for the part, so you know he's taking it seriously. With such major projects going on, it seems less likely that his focus is on One Direction. He's making the most of his time alone. "I think we all just want some breathing space for now and the idea of that is pretty exciting, not to have any specific schedule or plans." Sure enough, it's almost a year since that interview and they're all entrenched in their own projects and schedules. Clearly big things are in the works. In January, Briana Jungwirth gave birth to Tomlinson's son, Freddie. Unlike the rest of the guys, he has a different set of priorities at the moment, including being a good dad. He hasn't posted a ton of photos of his kid on social media, but he did share an adorable snapshot of their hands just last week. Maybe he'll join the rest of the guys in making his own music eventually, but for now, it seems like parenting is his main focus. Who knows One Direction better than Simon Cowell? After all, he helped form the boy band on The X Factor. Considering that fact, this tidbit may make your heart sink. In June 2016, Cowell hinted the 1D hiatus would be a long one in an interview with Variety. He told the magazine, "One Direction I don’t think we’ll see as a group for a while now, if I’m being honest with you." Ultimately, fans will have to wait and see if this hiatus ever comes to an end. But for now, these clues aren't the most promising.